California landlord-tenant laws are very comprehensive, and can be even more complex in those cities that have rent-control laws. Common issues that arise between renters and building owners include repairs, security deposits and eviction policies, all of which are addressed in California law. Both landlords and tenants have specific rights and responsibilities to ensure that both parties benefit from their rental agreement. A landlord in California can charge a maximum of two months rent as a security deposit, unless the unit is furnished, in which case she can ask for three months rent. If the tenant has a waterbed, the landlord can ask for an additional half-month's rent to be added to the security deposit. Landlords must refund security deposits within three weeks of tenant move-out. Landlords are responsible for making repairs on those defects that make a rental unit "uninhabitable". The rental home must meet all building codes, and the various building systems must be in working order. Tenants must be provided with deadbolt locks on the doors and mailboxes with working locks. If there is a pest problem, the landlord is obligated to hire an exterminator. However, landlords are not responsible for repairing damage done by a tenant or a tenant's guests. Landlords are also not obligated to repair "amenities" such as swimming pools and appliances, unless the lease or rental agreement specifically requires the landlord to do so. While the state of California does not have rent control, many California cities and towns do. Rent control restricts a landlord's ability to increase the rent of tenants from year-to-year and can also make it very difficult for a landlord to evict a tenant or to not renew a lease. Since rent control laws are enforced at the local level, landlords and tenants should familiarize themselves with the laws in the municipality where the tenant resides. Landlords are restricted from entering a rental property unless they have a legitimate reason to do so. In most cases, landlords need to give tenants 24 hours notice if they plan to enter the unit, except when there is an emergency or the landlord believes that the unit has been abandoned. Grounds for eviction in California include damaging the rental unit, failing to pay rent, refusing to leave after the lease or rental agreement has expired, engaging in illegal activity while on the landlord's property, violating the lease agreement, and harassing or disturbing other tenants. In cities with rent control, the grounds for eviction may be more stricter than California state law. For example: California state law permits a landlord to evict a tenant who doesn't leave when his rental agreement is up. Yet, some rent control cities require a landlord to renew a lease or rental agreement unless the landlord can prove that she has "just cause" to not do so. Petersen, Lainie. "California Landlord Rental Agreements Law." 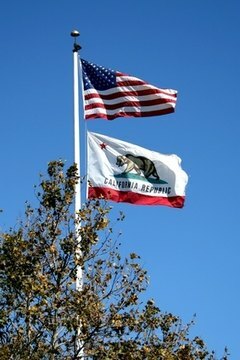 , https://legalbeagle.com/6318753-california-landlord-rental-agreements-law.html. Accessed 22 April 2019.